Mayor Andre Sayegh’s administration is floating a tentative plan to lay off 112 police officers or a quarter of the police force in a desperate last-minute move to close a large budget deficit. Sayegh has to close a $6 million budget shortfall, his administration officials said last week. His administration unsuccessfully attempted to enlist all municipal employees to give up two weeks of pay over a six-month period. Police unions did not buy into the mayor’s pay deferral plan because it did not guarantee there would be no layoffs. The last-minute layoff plan could impact others like public works employees and firefighters. Officials have not made public details of the plan. Administration officials revealed the plan to union representatives in a meeting on Tuesday. The city currently has 415 police officers. Only last year, the police force recovered from the 2011 layoff that claimed 125 police officers’ jobs, leading to severely delayed response time, increase in violent crimes and shootings. At the time the force had 500 police officers. Last year, the city had one of the lowest homicide rates in a decade. 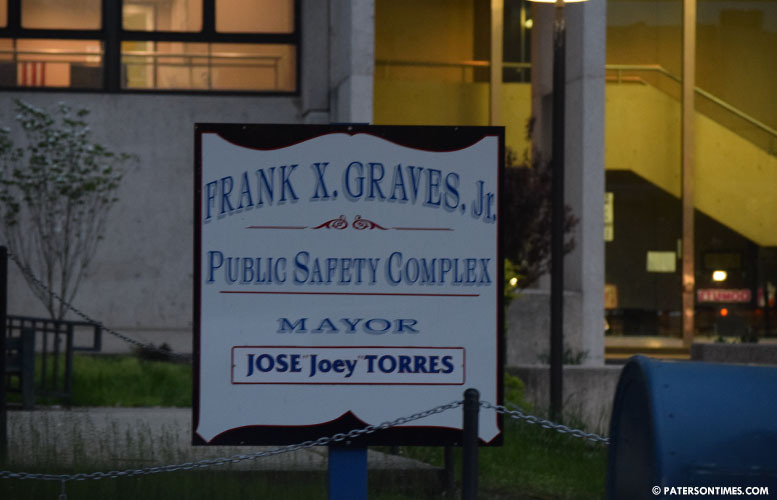 Former mayor Jeffery Jones’ layoffs in 2011, combined with an overtime scandal during hurricane Irene, marked the end the ex-mayor’s administration and his political career. Sayegh faces a similar prospect. Some council members have blamed Sayegh for failing to prepare for layoffs early in the fiscal year. With five months remaining in the fiscal year, layoffs will not produce much savings. Get rid of all the fat lieutenants and captains that sit on their asses all day and drive all those brand new SUVS home every night. Andre was playing it to close tryna get the funding to keep the city running . That stupid ignorant BA Vaughn gets the blame . He was never supportive of police , didn’t want to fix 111 Broadway , walks into council meeting like he’s the man now this. It’s gonna be real hard to police a growing city with 100 less cops . Legalizing weed will cut crime 25% all over NJ, and you can accordingly, lay off 25% of cops, probation employees, judges, prison guards, and lawyers, whose jobs depend on marijuana laws. Trump just legalized hemp; weed is just around the corner. Getting rid of this 25% across the board can cut property taxes by a lot. Smaller gov't is the answer, not more whale-belly useless cops. Your taxes will never decrease here in this state. You will have to move from nj for that.